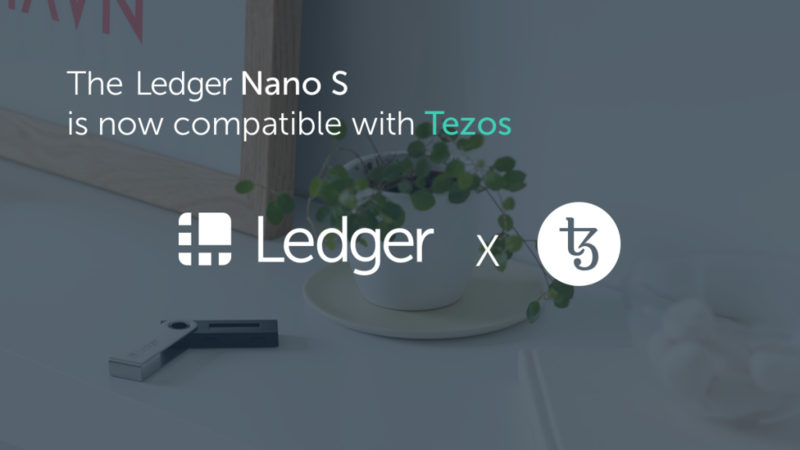 Ledger, a global leader in security and infrastructure solutions for cryptocurrencies and blockchain applications, today announced that the Tezos Wallet application is now public for Ledger Live users to download. Previously, the Tezos Wallet application was only available in developer mode, meaning users needed to activate a specific setting in Ledger Live to be able to install it on their Ledger Nano S.
The Tezos Wallet app is now available for installation on Ledger Nano S through Ledger Live. For more information on how to use your Ledger Nano S with the Tezos application, please refer to this help center article. Ledger wallets are built with a distinctive operating system (OS) called BOLOS, which is integrated into a secure chip. The EAL5+ certified secure chip used in Ledger Hardware Wallets is the same one used for banking, credit cards or passports. It is a tamper-resistant platform capable of securely hosting applications and data, in accordance with the rules and security requirements set by pre-authorized applications and people. Read more about it here.